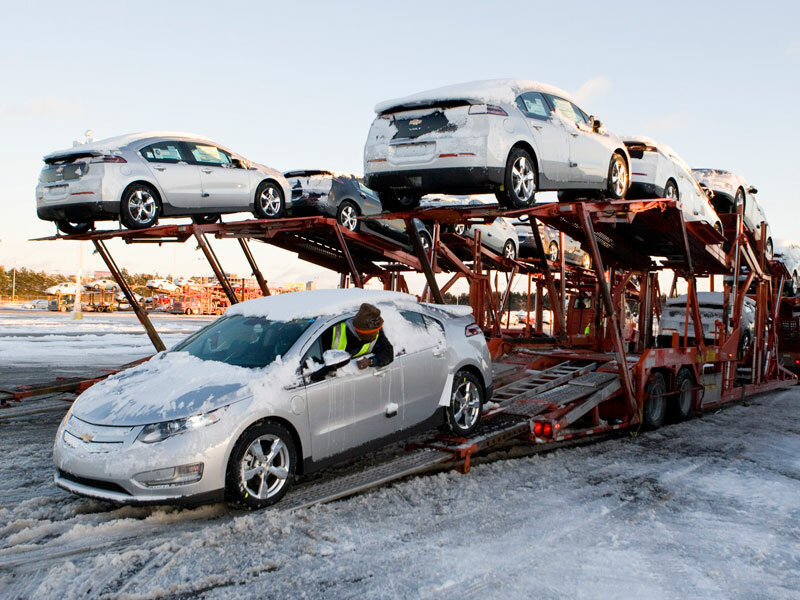 GM Ships First Wave of Chevy Volts from the Detroit Factory! Hot on the tails of the first Nissan Leafs to be shipped to dealerships, Chevy announced yesterday that the first load of Volts is en route to customers throughout North America. The first of 160 cars expected to be shipped this week are headed to New York, Washington DC, California and Texas and should arrive in the next couple of days – just in time for the holidays, if you’re feeling really, reeeeaaally generous. 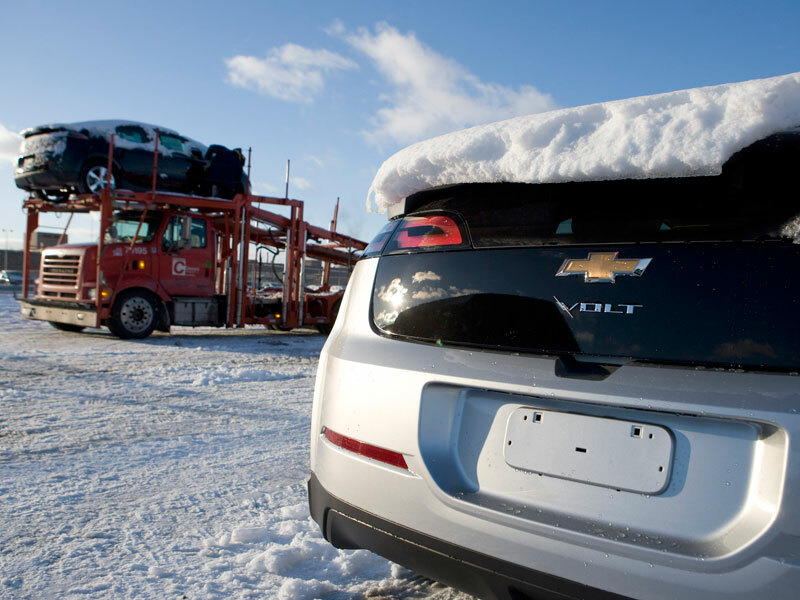 “Today is a historic milestone for Chevrolet,” said Tony DiSalle, Volt marketing director. “We have redefined automotive transportation with the Volt, and soon the first customers will be able to experience gas-free commuting with the freedom to take an extended trip whenever or wherever they want.” MotorTrend, Automobile, the LA Auto Show and Green Car Journal all recently picked the Volt as the car of the year in 2010. The extended range of the Volt is 300 miles while its battery can take you 50 miles without a drop of gas. With all of these electric vehicles hitting the streets this month we’re hoping that innovative charging stations — like this zero-energy house that charges EVs or the super simple ChargePoint station — will pop up country-wide as well.